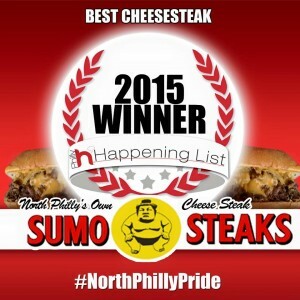 Sumo Steaks wins Philly’s Best Cheesesteak in Philly! We are so thankful to all or our loyal supporters for this honor. 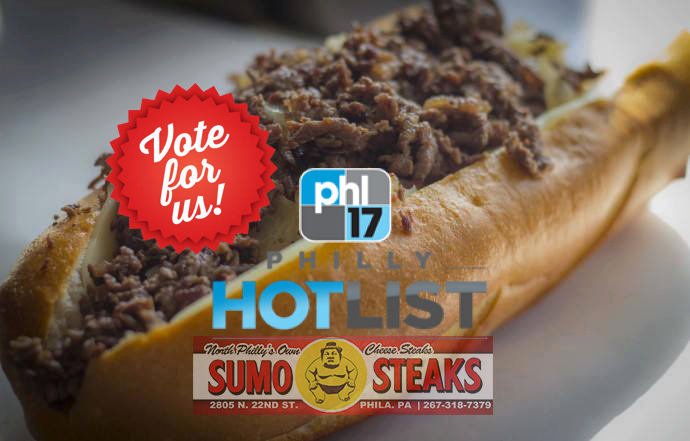 Posted in Uncategorized	| Comments Off on Sumo Steaks wins Philly’s Best Cheesesteak in Philly! 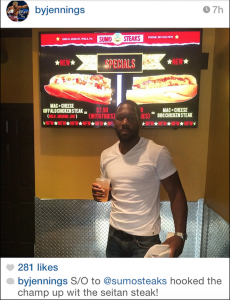 Sumo Steaks is Proud of Philadelphia Boxers, Bryant Jennings & Jesse Hart. Bryant Jennings at Sumo Steaks enjoying his vegetarian seitan steak. 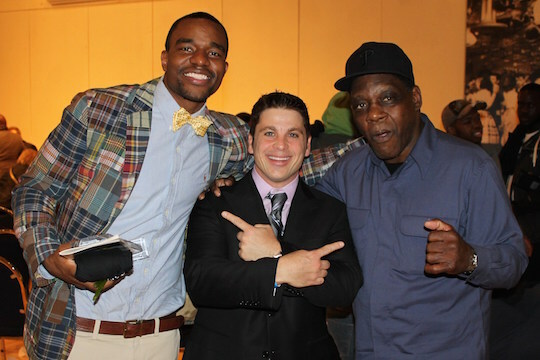 PHILADELPHIA, Pennsylvania, April 24, 2015– North Philly’s Own Cheesesteaks, Sumo Steaks, is proud to announce that their friends, fellow North Philadelphians, and big-hearted local community role models, Bryant Jennings and Jesse Hart, will both soon be making major career defining strides. Bryant Jennings will be fighting for the World Heavyweight Championship and Jesse Hart will be fighting on the card of the most anticipated fight of the century, Floyd Mayweather vs. Manny Pacquiao in Las Vegas. This Saturday, April 25th, Philadelphia’s own undefeated American boxer, Bryant “By-By” Jennings, (19-0, 10 KOs) takes on Wladimir “Dr. Steelhammer” Klitschko (63-3, 54 KOs) from Kiev, Ukraine at the famed Madison Square Garden. Jennings will be joined by the legendary trainer Fred Jenkins and promoter Gary Shaw. “Bryant is very focused with a strong work ethic. We believe he’s going to upset Klitschko and are looking forward to “By-By” bringing the World Heavyweight Championship belts back to Philadelphia.” said Billy Creagh of Sumo Steaks. Jesse Hart (L) and his father, Eugene “Cyclone” Hart, (R) with owner of Sumo Steaks, Billy Creagh. Sumo Steaks is equally excited for Jesse Hart (16-0,13 KOs) and D&D Management Team (Doc Nowicki & David Price) who will be fighting Mike Jimenez (17-0,11 KOs) from Chicago IL, on the biggest boxing card in history, Mayweather vs. Pacquiao. They will come together on May 2nd, in Las Vegas, NV. at the MGM Grand for the USBA Super Middleweight Title. He will be joined by his cornermen, Fred Jenkings Sr, Danny Davis, Corey AKA Hundew MacDonald and Jesse’s father, Eugene “Cyclone” Hart, along with his promoter Top Rank’s Bob Arum. 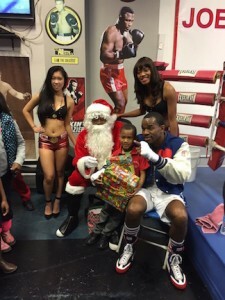 Jesse Hart with Santa and The Sumo Steak Ring Ring Girls presenting toys to children in need. Located in North Philadelphia, home to boxing champions, Bernard Hopkins, Danny Garcia and the late Joe Frazier, Sumo Steaks opened in 2013 and was recently voted top Cheesesteak in Philly. They have been fortunate to get to know both Jesse and Bryant and their teams through various charity events and other activities. Sumo Steaks is also a proud sponsor of boxing events in Philadelphia. For more information, contact Billy Creagh. 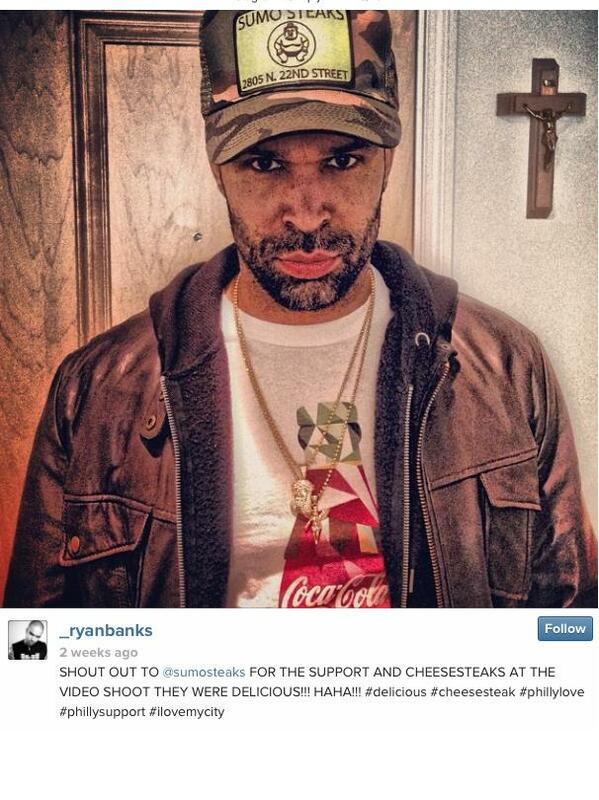 Posted in Donations and Inspirations, Sponsored Events, Updates	| Tagged Best Philly cheesesteak, Best Philly Cheesesteaks, billy c, Billy Creagh, Boxing, Bryant Jennings, Cheesesteak, Jesse Hart, Mayweather, North Philly, north philly's own cheesesteak, Paquiao, Sumo Steaks, Sumo Steaks Ring Girls	| Comments Off on Sumo Steaks is Proud of Philadelphia Boxers, Bryant Jennings & Jesse Hart. 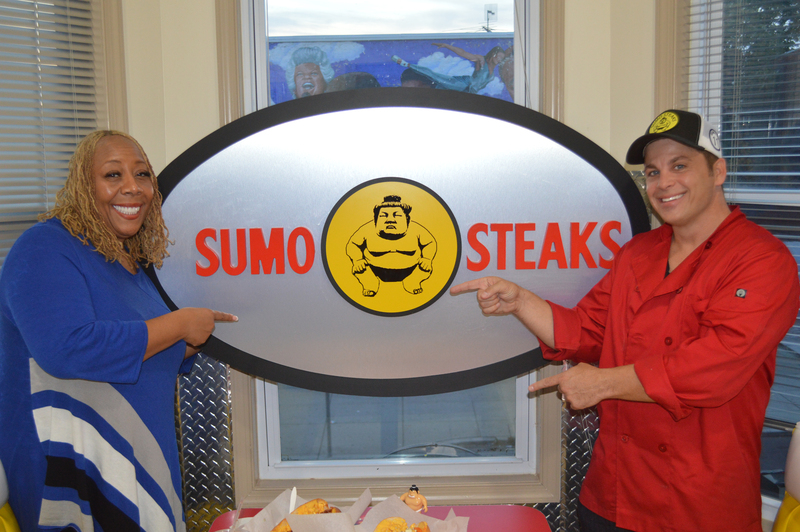 Patty’s Taste of Philly Season 2: Sumo Steaks! Folks, if you haven’t had a chance to meet Patty, you really need to. She’s the Best! Thank you, Patty Jackson & WDAS 105.3 FM! 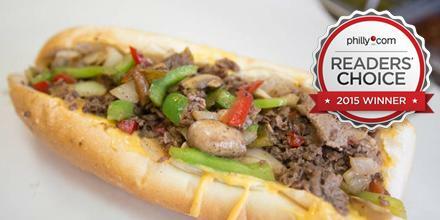 Our Veggie Cheesesteak is the bomb! 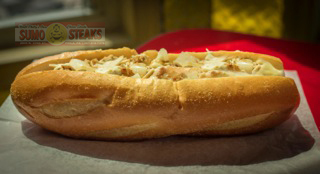 Try Our Veggie Cheesesteak made with Mushrooms, Onions & Seitan. We personally think it’s the best in the city and we will go up against anyone out there! Posted in Uncategorized	| Comments Off on Our Veggie Cheesesteak is the bomb! 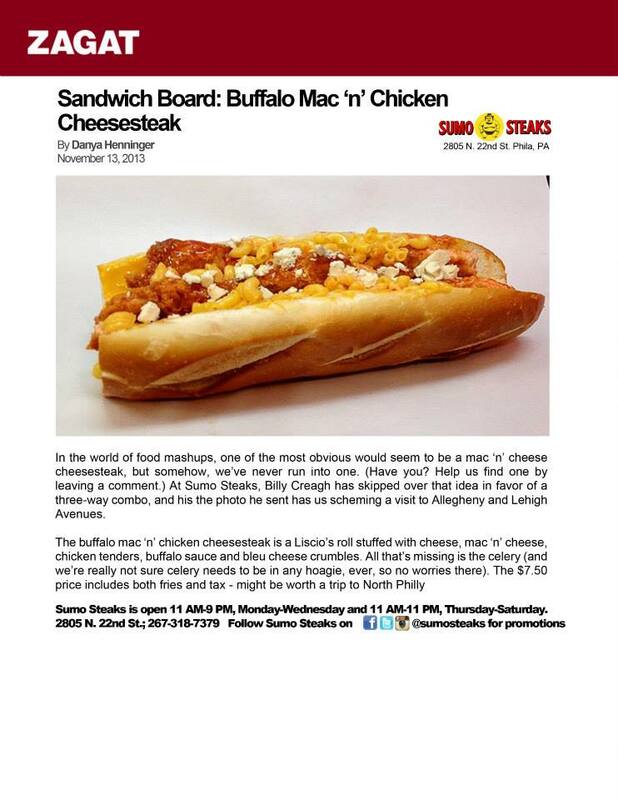 It’s Chicken Cheesesteak week at Sumo Steaks! Get Philly’s Best Chicken Cheesesteak & Fries, just only 7.50! 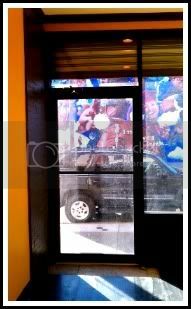 Posted in Uncategorized	| Comments Off on Holy Chicken Cheesesteaks! Throngs turned out to enjoy free cheesesteaks courtesy of Billy Creagh, owner of Sumo Steaks and sponsor of the event. The 900AM-WURD street team registered 35 new voters, processed 32 library card requests, and filled out L.O.O.P (Longtime Owner Occupant Program) applications as part of WURD’s efforts to stave off gentrification through education and access for Philly residents without digital/internet access. The line for registration (and free steaks!) snaked around the corner as city residents responded to WURD’s call with vigor, many citing their belief that “no one in the city government has answered our calls for assistance” and “it’s great to see the radio station out in the street.” Stopping buses and flagging down cars, the 900A-MWURD street squad of super-interns Starsha Divine Frierson, Carter Reed and Amanda Wallace went above and beyond in support of morning show host Phil Allen and producer Keaton Nichols. 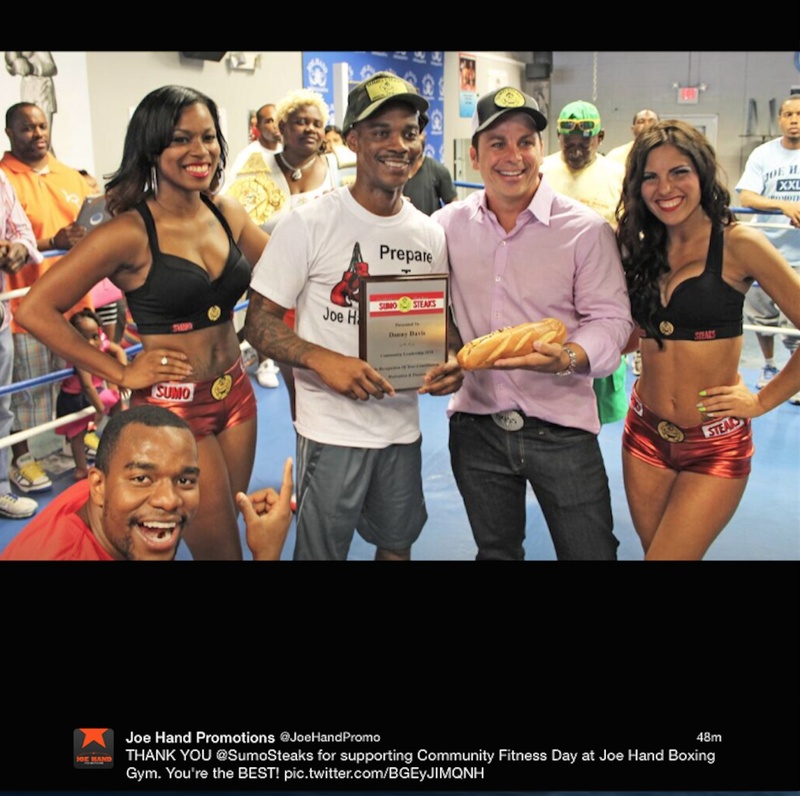 Danny Davis with Billy Creagh, Philly boxing champ, Jesse Hart, and the Sumo Steaks Ring Girls.